Blackout Blinds with high resolution graphics. Wall Art category but with unclaimed real estate: the windows! Different from a poster or wall decal, Geek Peeks are designed to create the fantasy of looking out on the scene through your window. The Fallout Geek Peeks 36-Inch Blackout Blind features the artwork from thebest-selling Fallout 4 video game. The graphic features a futuristic setting that's ready to be turned upside down from the fallout from the Great War. 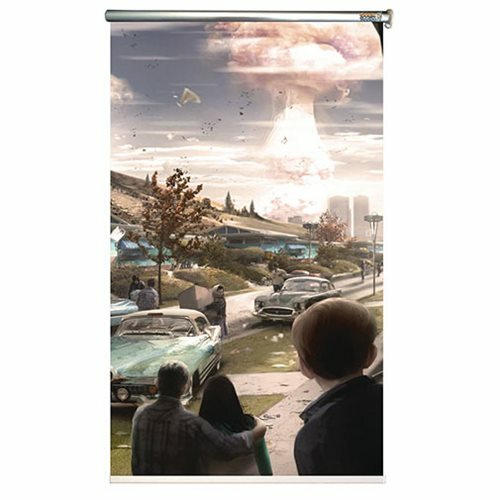 Decorate your home with this cool Fallout Geek Peeks 36-Inch Blackout Blind.